Apartment 2 is a 65m² east-facing, two bedroom apartment which shared the main entrance with apartment 3 and 4 with direct access to a private exterior deck. 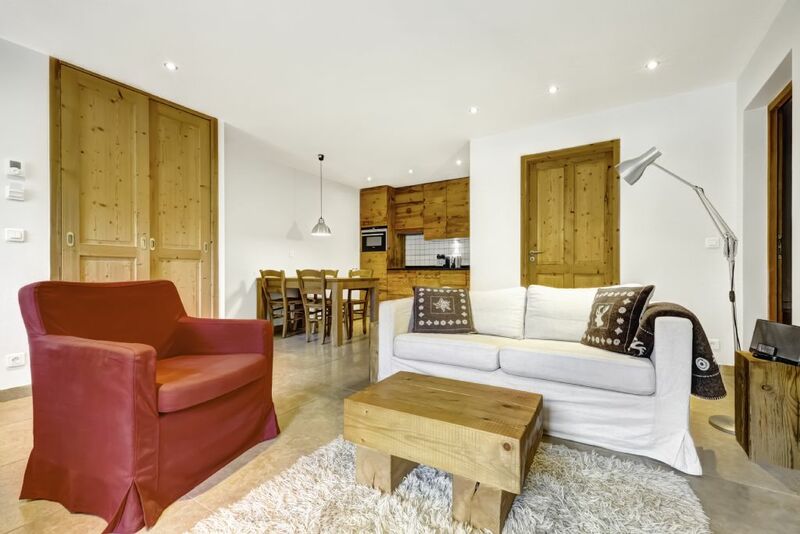 The apartment has an open plan living area with cosy lounge area, log burner and well equipped kitchen oven/microwave, fridge/freezer, Nespresso coffee machine, an induction hob, kettle, steam oven and toaster. There are two spacious bedrooms, each with either a king size double bed or two large singles. 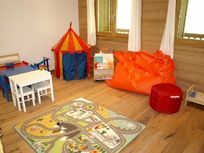 Each of the bedrooms has space for an additional cot or junior bed and is equipped with a built in baby monitor linked to the communal dining area. 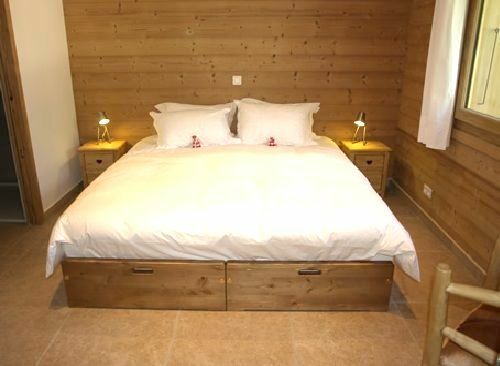 One of the bedrooms has an en-suite shower room plus there's an additional family bathroom. Each apartment has complimentary Wi-Fi, an IPod dock, satellite TV and a hair dryer. 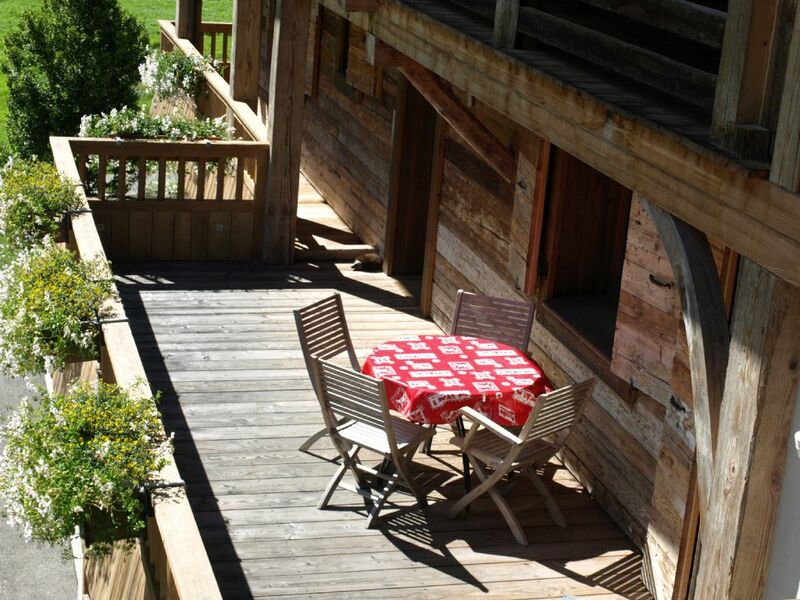 Chalet le 4 is located around 10 mins drive (bus leaves from almost directly outside) from the traditional farmer’s village of Le Grand Bornand, about half an hour’s drive from lovely, lakeside Annecy in the Haute Savoie. For snowy fun in winter and loads of things to do in the summer, the setting is perfect for families all year round and the village even prides itself on being really family oriented. 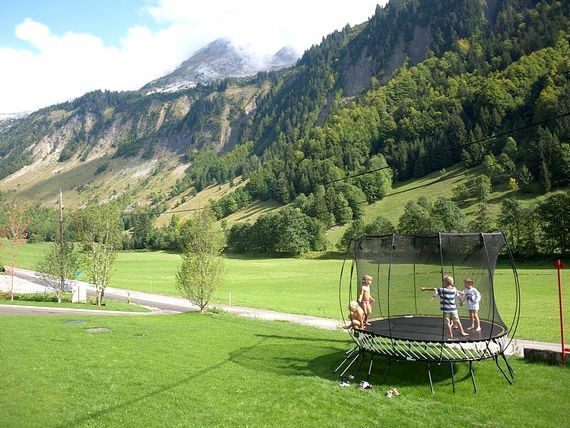 At the height of the summer, Le Grand Bornand hosts the largest children’s festival in Europe and in the centre of the village children can always enjoy the likes of a wonderful merry-go-round, trampolines, mini scooters, pony rides, archery and mini golf. 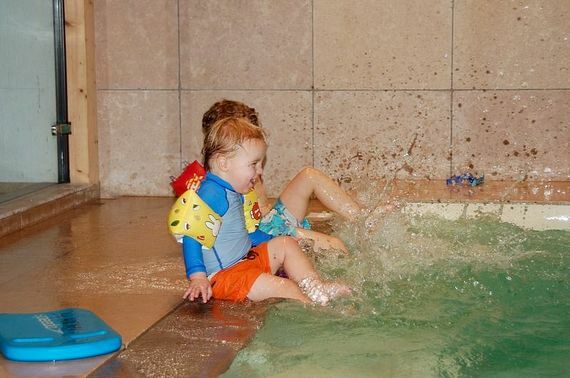 The village has an aquatics centre which is open from June to September plus tennis courts and a par three golf course. 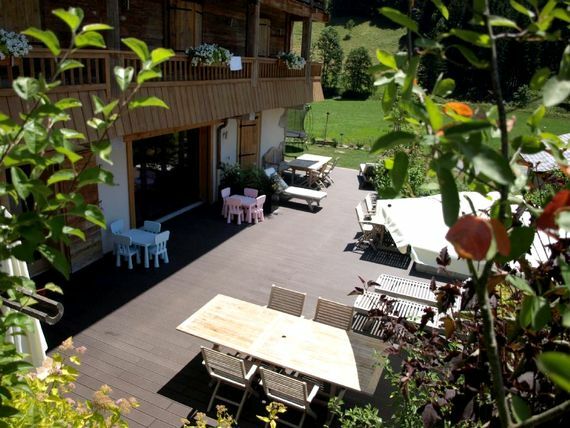 Cafe’s, bars and restaurant overlook the Aravis mountain range and families can explore these by cable cars. The crèche in Le Grand Bornand welcomes children from mid-December till mid-April and in July and August from 9am till 17.30pm. 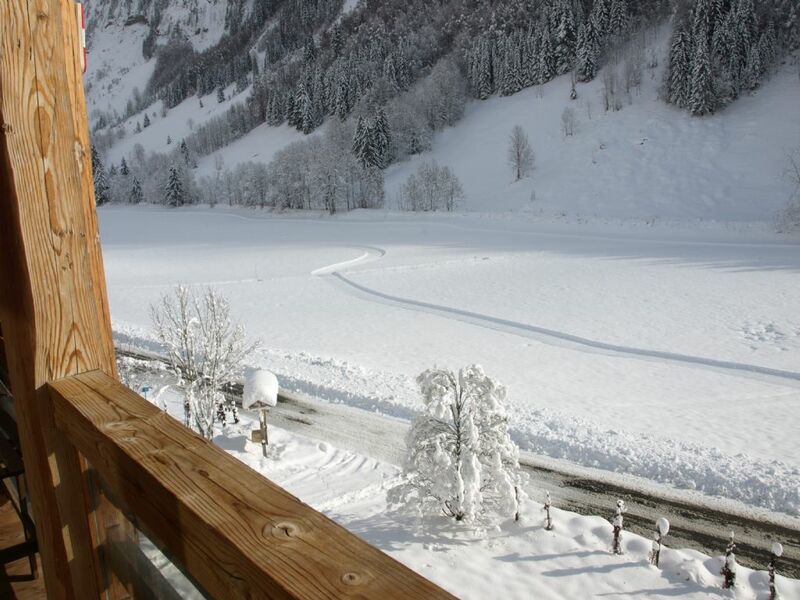 Throughout the winter months, Chalet le 4 is a superb base for family fun in the snow and more serious ski-ing. 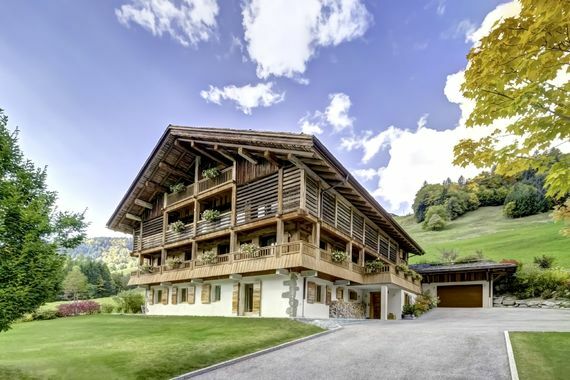 The Chalet is right on 43kms of cross country ski tracks which centre around the adjacent Auberge Nordique, which is always buzzing with people taking lessons and families heading for the sledging slope opposite. Le Grand Bornand ski area itself, with 90kms of runs, is a ‘Family Plus’ resort with an unusually large number of instructors for all ages and abilities. 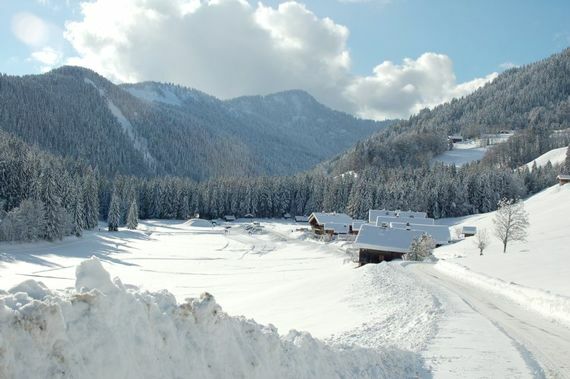 Conveniently, a 10-minute shuttle bus stops right outside the Chalet every 20 minutes to deliver guests to the cable car to the slopes and creche/ski school. Conveniently, if equipment is rented from the village ski hire shop, there are lockers so guests needn't worry about bringing them on the bus each day. For a change of scene, Annecy is a beautiful lakeside town with a cobbled medieval centre, criss-crossing charming canals – earning it the nickname the ‘Venice of France’. There are plenty of shops, bars and restaurants, plus a lakeside park and beaches for a picnic, pedalos for hire and lake cruises to admire the scenery. 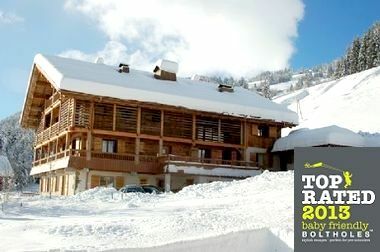 Getting here: Le Grand Bornand is within and hour’s drive from Geneva airport. Prices based on max. 4 guests (any age). 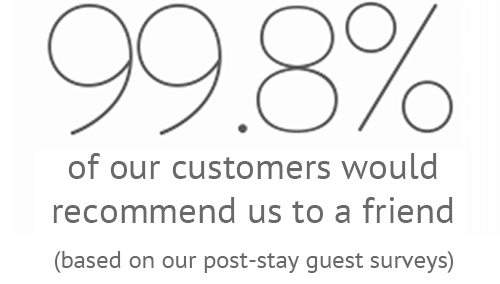 Up to 2 additional guests may be accommodated at a charge of €15pp per night, regardless of baby, child or adult. Please add extra guests in 'options & extras' section of BFB booking form. A credit card authorisation is taken in case of damage. Le Grand Bornand is within and hours drive from Geneva airport. The main town of Le Grand-Bornand is just 10 minutes drive where you will find a family friendly feel, a creche guests can use and a good selection of restaurants and shops. 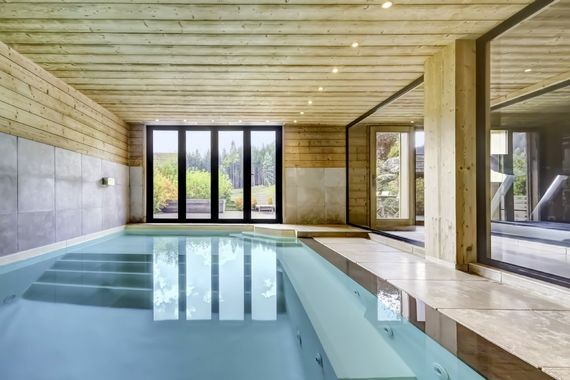 The chalet has its own indoor heated pool with shallow kids area and patio doors opening out onto the south terrace which itself overlooks the kids play area. The chalet has its own pool, gym and sauna. Catering can be arranged on request from one celebration meal to full board. The crèche in Le Grand Bornand welcomes guests from mid-December till mid-April and in July and August from 9am till 17.30pm. Babysitters are available in the evening. Baby and child friendly gear available includes: 3 Wooden baby cots (60x120cm); 4 junior beds (70x160cm)(3x);8 x Stokke Tripp Trapp highchairs, baby bath; anti-slip bath mat; potty; toilet seat reducer; stool in bathroom; baby bouncer; built-in baby monitor in every bedroom; steriliser; plastic crockery and sippy cups; baby and childrens cutlery; childrens nightlights; childrens bed linen; childrens coat hangers; Baby-Björn and backpack carriers. The chalet also has built in baby monitors. 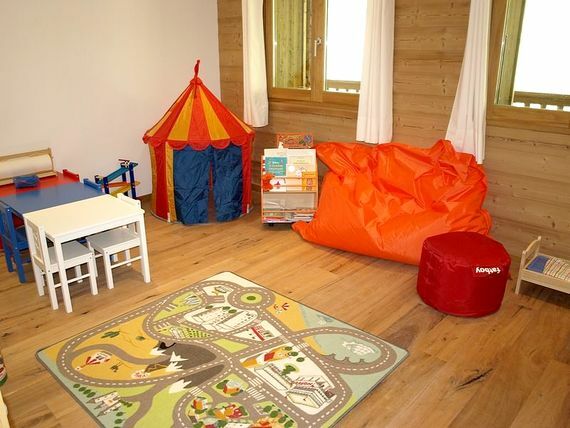 The chalet has its own dedicated childrens playroom with a reading corner with a large selection of books, little tables and chairs, art & craft materials, lego, duplo, puzzles, wooden trains and tracks, wooden blocks, baby toys, Kapla, miniature animals, cars, work bench with tools, fancy dress box, table football and a large range of U-rated kids DVDs. 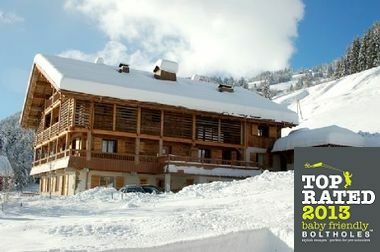 The chalet hosts can offer breakfast, afternoon tea and table d'hôte upon request. Kids suppers can also be arranged on request. Outdoor play gear available includes a trampoline, sledges, swings and climbing frame. 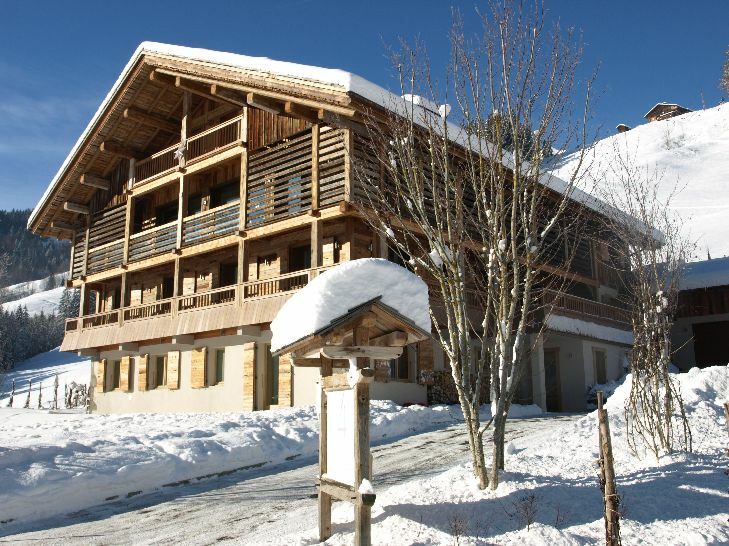 Guests can arrange daytime babysitters or utilise the well respected crèche in Le Grand Bornand (advance booking is recommended). 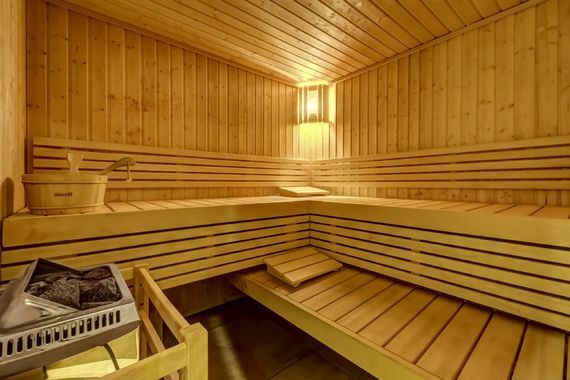 It welcomes guests from mid-December till mid-April and in July and August from 9am till 17.30pm. The apartment has its own decked terrace but there are also communal gardens including a large decked area with sunbeds, and lawns for little ones to run around in. There is a par-three golf course nearby. There are tennis courts nearby. 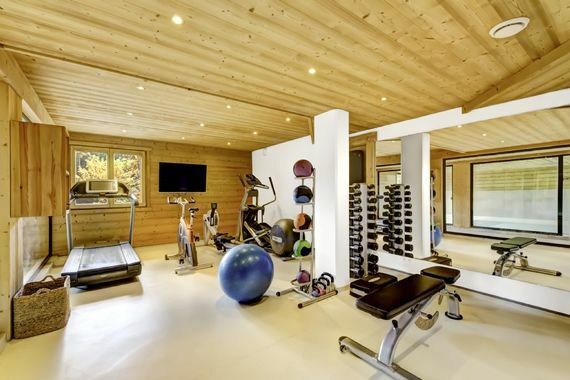 There is a fully equipped gym within the chalet. The lounge has a log burning fire. Lovely, very well equipped apartment in a chalet with fantastic facilities for both us and our 3 year old (gym, swimming pool, playroom, laundry etc..). Plus great food and hospitality by the owners made for a very enjoyable family summer holiday.